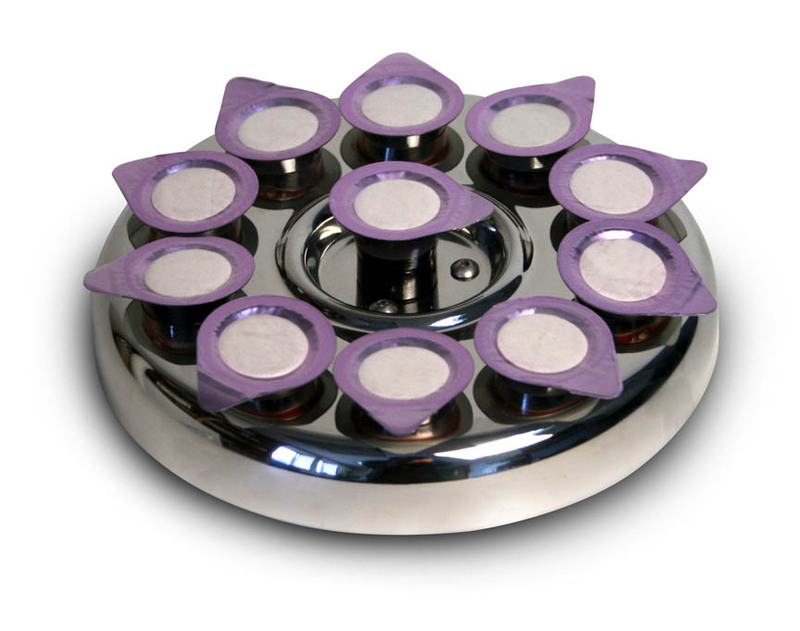 This small Communion tray mounts to a microphone stand allowing worship team singers and musicians to access Communion elements easily, unnoticed and within reach of their instruments. 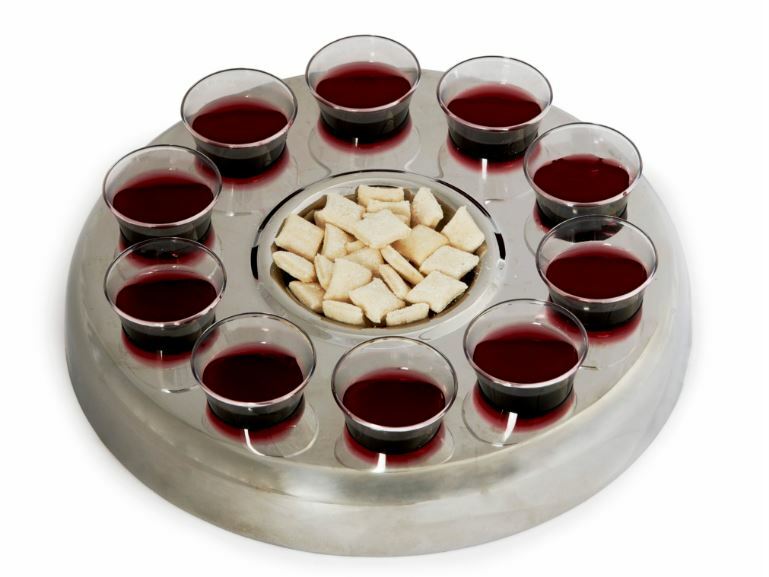 Holds 11 prefilled Communion cups with wafers (not included) or 10 disposable cups with bread served from the recessed center plate. 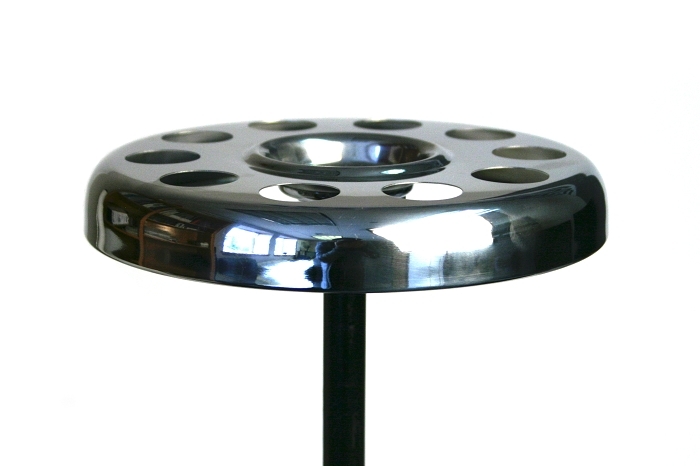 A threaded fitting is solidly welded to the bottom of this serving tray allowing it to securely attach to any standard mic stand (purchased separately). Tarnish resistant stainless steel with silver tone finish. Dimensions: 1.3 inches high by 6.5 inches in diameter. 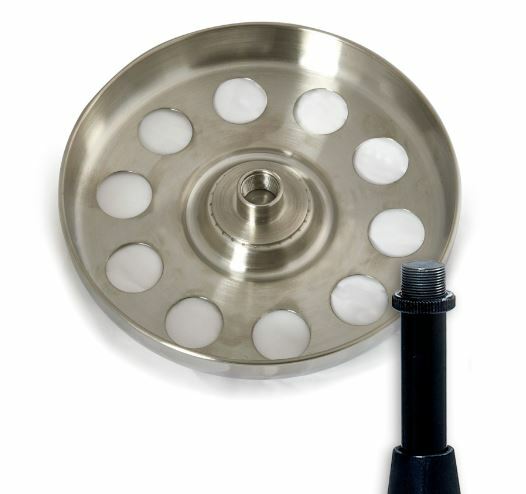 Black powder coated mic stand with sturdy round base, measures 10" diameter. Height is adjustable from 33"-60". 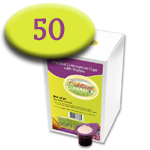 Clicking this link will take you to a partner website for round base stand. 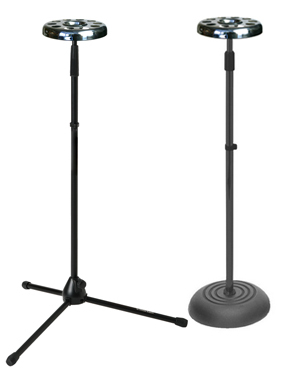 Tripod black mic stand closes for easy storage. Height is adjustable from 37.5"-65". Clicking this link will take you to a partner website for tripod stand.